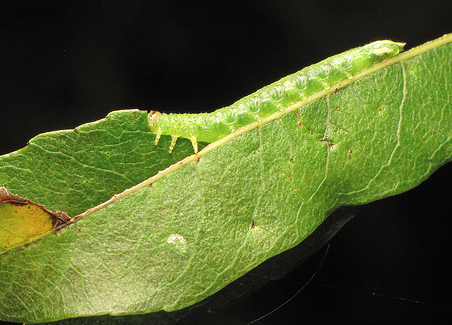 This is the start a (somewhat) regular series of blog posts highlighting some of my favourite research papers in the discipline of Arthropod ecology – I’ll call this category “must-read research papers”. These posts will force me to look critically at some of the great research papers I have read in the past little while, figure out the ‘take home messages’ from these papers, and articulate this message. I also hope these posts can inspire others to think about the best papers within their discipline and to share their opinions and ideas to a broad audience. That is what science communication is all about! For the first in this series, I wanted to highlight a paper by Novotny (and fifteen other co-authors) published in 2010 in the Journal of Animal Ecology. This work is titled “Guild-specific patterns of species richness and host specialization in plant–herbivore food webs from a tropical forest.” This paper was discussed in my Insect Diversity class last autumn (co-taught with Terry Wheeler), and was used as an example of assumptions we make when considering what it means to be a herbivore. 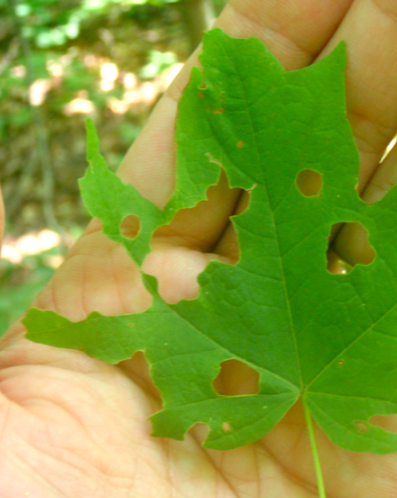 From my biassed perspective (working mostly in north-eastern deciduous forests and the Arctic), when I think about herbivores, I automatically classify herbivores into a few pretty obvious categories: leaf chewers, leaf miners, gall-makers, and a suite of ‘piercing-sucking’-type herbivores. My off-the-cuff estimate of the number of herbivore guilds would be much less than a dozen. The authors then took their new and detailed classification system and completed a food web analysis for their tropical system in Papua New Guinea, focusing on 11 main guilds. Their resulting 11 food-web diagrams are a lovely depiction of multivariate data in 2-dimensions, as they show the frequency with which each host plant is consumed by herbivores, the herbivore abundance and the frequency of each interaction – and they present this for 9 standardized plant species, for each of the 11 guilds. Their research depicts “6818 feeding links between 224 plant species and 1490 herbivore species drawn from 11 distinct feeding guilds”. WOW! They also show that 251 species of herbivores are associated with each tree species within their study system. There are clearly a lot of different ways for herbivores to make a living. For me, this is a strong paper that depicts effectively the complexity of plant-herbivore food-webs and illustrates (once again!) that diversity in tropical forests is stunning. More than that, the work shows this diversity from a functional, food-web perspective, and illustrates how guilds behave differently. 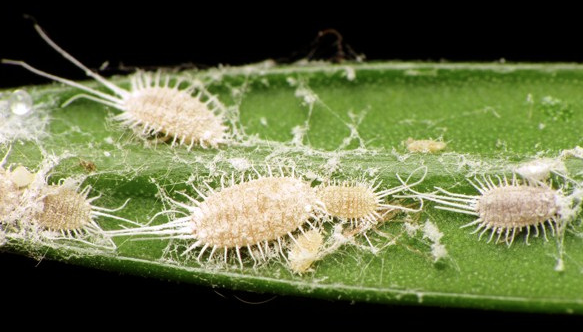 From a more practical perspective, this paper is forcing me to rethink how I view herbivores – i.e., they are more than leaf-chewing caterpillars and aphids. They are also root-feeders, fruit chewers, flower chewers, and specialized xylem suckers. Novotny et al. suggest researchers use their 24 guild system for classifying insect herbivores, and I agree – their classification system is still manageable, yet much more comprehensive than what many researchers use. If the topic of food-webs, plant-insect interactions, and the biodiversity & ecology of tropical forests interests you, this is a must-read paper.